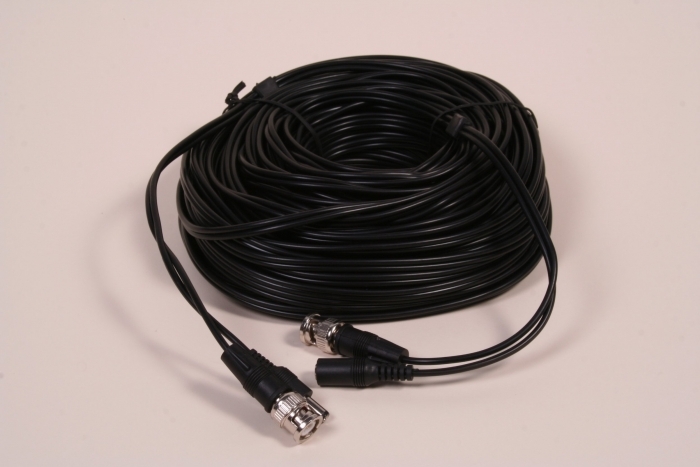 A 30 metre camera to DVR recorder cable which also combines 12 volt power for the camera. 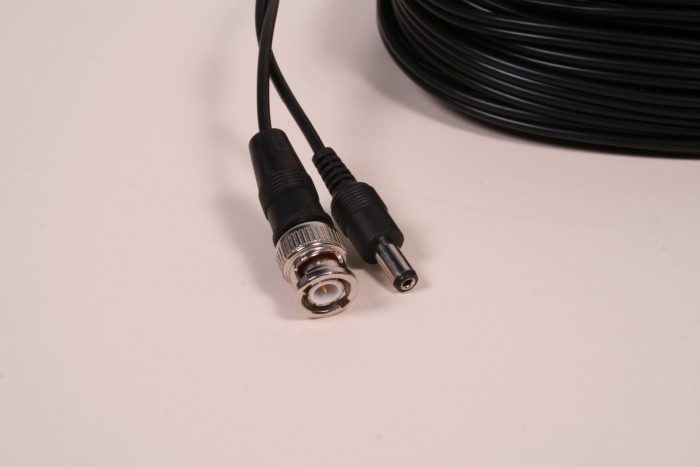 Only compatible with our standard definition cameras on our site and any power supply on our site as well. Simple plug and play operation. 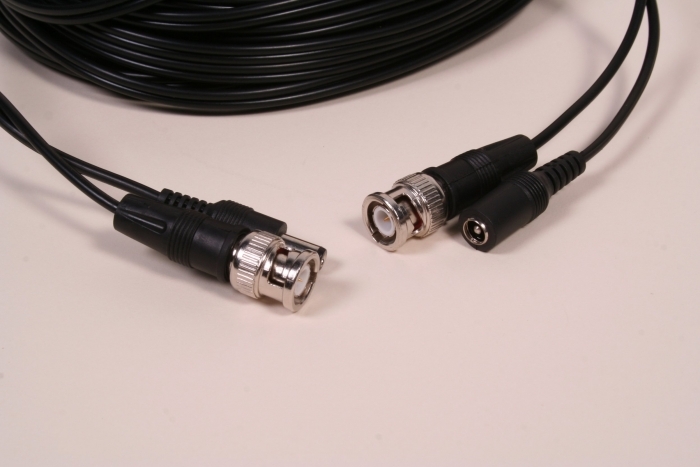 Industry standard DC power connectors and BNC video connectors mean any future upgrades are simple. 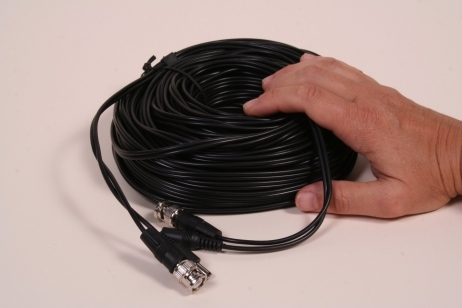 You won`t have to change cables, simply plug in the new camera or DVR. When used outside we recommend any connections are protected in one of our weatherproof connector boxes. Also available in 10 metre and 20 metre versions. Cables can be linked together using one of our joining kits.